He is much improved. Had oxygen, steroids, nebulisers x 4, blood taken, snot removed from nose/throat. Being moved to the Ward after a chest x-ray. 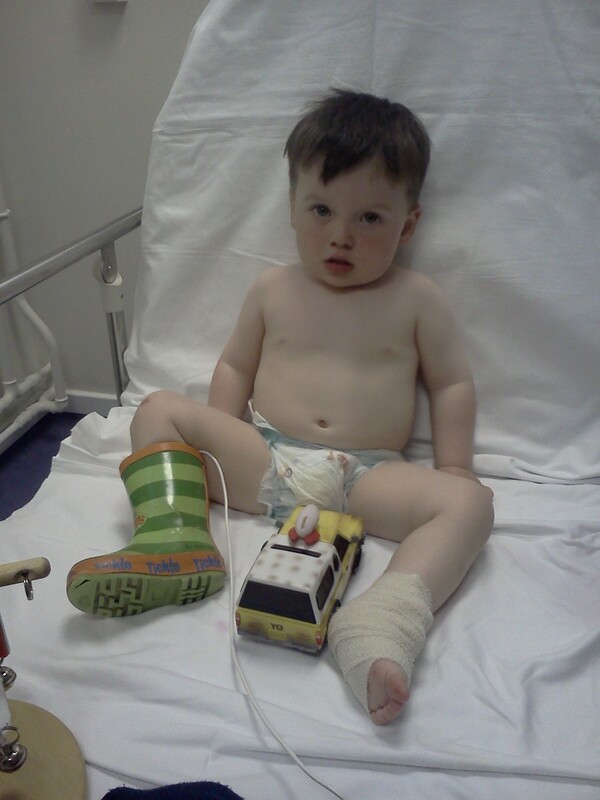 Insisting on wearing his wellies but only one fits as canular needle in foot. Managed a Jelly Tot. So glad to see that Noah’s condition has stabalised. Bless all our earth angels — the doctors and nurses of A&E for the superlative work that they do. I wish young Noah a speedy recovery and wish you all blessings at this trying time. You KNOW he will bounce back, but it can be a rocky road we all travel in order to get home.. You are in my prayers. All will be well.